Berger, Samantha & Whatley, Bruce. Martha Doesn't Say Sorry! 48 p. Little, Brown. 2009. Hardcover $15.99. ISBN 9780316066822. If you have a three year old, you NEED this book. Believe me, I know. It tells the story of a spirited young otter named Martha who, as you can guess from the title, is kind of a pain in the rear. She stirs up all kinds of trouble and then has a little trouble with apologies. But, of course, she does learn the beauty of a nice, clear "I'm sorry" in the end. Whew! The story may seem didactic to an adult, but it's wonderfully simple and straight to the point, reinforcing the importance of an apology at just the perfect level for a small child's understanding. 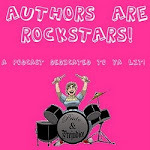 The illustrations add a layer of levity to the text that children and adults will both enjoy. The book's title is repeated quite a few times in the narrative, making for a fun-filled interactive reading experience. When you read it aloud, trail off with "Martha doesn't say..." and let your little one fill in with an exuberant "SORRY!" This works well for enhancing the participatory elements of a preschool storytime, too. 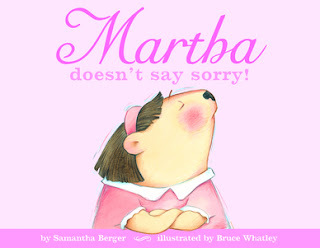 I love it-- Martha Doesn't Say Sorry! is a crowd-pleaser that teaches an important lesson.